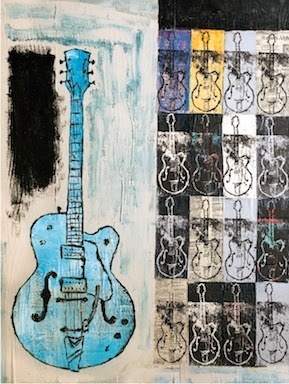 Ten years back, I used to see Tim Armstrong on the dance floor at various bars in Echo Park, so it's no surprise that the musician, songwriter and artist has chosen the neighborhood for his first ever solo art show. Most of you know the fiery performer from Operation Ivy, Rancid and the Transplants, but few have seen his drawings, paintings, watercolors and mixed media work, until now. In addition to the pieces on display at Avenues & Alleyways, running through Feb. 22 at Subliminal Projects, Armstrong is releasing a limited edition box set of 45 screen prints (each signed and numbered by him) and performing with Tim Timebomb & Friends at the opening reception tonight. My sister was obsessed with TMNT when she was little, from the animated series and video game to begging my mom for a Michaelangelo Halloween costume one year. So you can bet that we were standing in line at the theaters when the original movie was released at the height of TMNT mania in 1990, and even I enjoyed it. A quartet of mutated, pizza-loving turtles led by a mutant rat sensei against their archenemy Shredder – what's not to love? Venture into the sewers of New York City with the green gang when Landmark Theatres screens a 35mm print of the cult classic. Cowabunga! As I was looking up press photos of the English singer-songwriter and musician for this column, my boyfriend walked in and asked, "Are you working, or just fawning over Jake Bugg?" Sigh, maybe I am a little taken with him. Whenever one of his songs comes on over the radio, I instantly turn the volume up. His self-titled debut from last year and his sophomore effort, Shangri La, named after producer Rick Rubin's Malibu studio and released in November, are in constant rotation while I'm sitting at my desk. Bugg crafts gorgeous ballads, and his easygoing stage presence belies his 19 years of age. This is easily the show not to miss this week. If you've had a particularly hard week, then I'm writing you a prescription for an evening with the English duo. 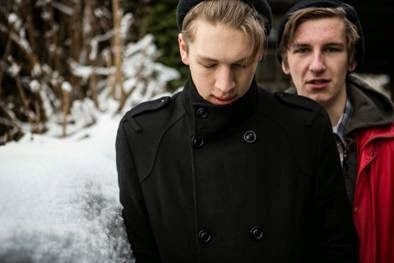 Banging your head, thrashing your body and just completely giving yourself over to the aural beast that is Drenge's music is the ideal way to unleash all of your frustrations. Just give their recently released "Bloodsports" single a spin, and you will undoubtedly see what I mean. Although I'm not a cat lover (I'm extremely allergic. ), I'm not immune to the charms of online cat videos. This celebration of the international viral sensations is making a world tour, with a stop at the Echoplex tonight. In store for you feline fanatics is a reel of 85 cat videos, a costume contest, cat-related vendors and reps from local animal shelters and humane societies, as well as special appearances by the awesome Grumpy Cat and Keyboard Cat. No, I didn't make a mistake with the venue. This is hockey, outside, at Dodger Stadium. A shiny new ice rink has been built in the center of the stadium as part of the 2014 Coors Light NHL Stadium Series, making it the first outdoor regular-season NHL game played west of the Mississippi River. The game couldn't come at a better time, since both teams are doing well this season: Anaheim sits at the top of the league, while Los Angeles isn't too far behind in the Pacific Division. KISS perform before the game and during the first intermission, too. Back when Jerry Maguire was released in 1996, scores of people wanted to become a sports agent like the character played by Tom Cruise in the film. The actual superagent who inspired the character, though, is Leigh Steinberg, who has represented over 150 pro athletes, including Troy Aikman, Steve Young, Oscar de la Hoya and Ben Roethlisberger. 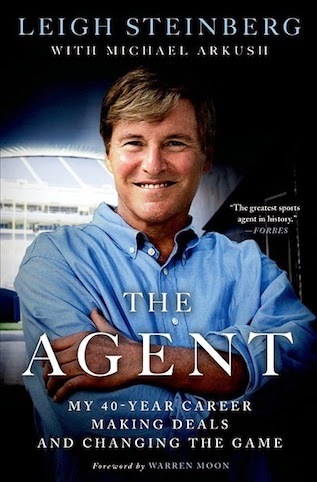 He just released a new book, The Agent: My 40-Year Career Making Deals and Changing the Game, that shares some of his personal stories as one of the greatest sports agents in history. He discusses and signs copies of the book at 4 p.m.
No other band takes me back quite like these women can. From The Goonies soundtrack, their "A Hazy Shade of Winter" cover in Less Than Zero to a cameo by them in the first season of "Gilmore Girls" and an incredibly embarrassing recording and music video of "Walk Like an Egyptian" made by my best friend, her dad and me at Universal Studios, their songs were present in so many of my memories growing up. The trio of Susanna Hoffs, Debbi and Vicki Peterson take part in celebrating the famous Sunset Strip venue on the last night of the Whisky's 50th Anniversary weekend with a set that is sure to include many of those tracks. There's nothing better than getting over the mid-week hump by dancing, and the Los Angeles-based foursome of hands provide a more than capable soundtrack to get you moving. TIME named them as one of the 11 Great Bands You Don't Know (But Should) list in 2012, and with the release of their debut full-length, Synesthesia, last year, they continue to captivate with their danceable indie rock and feverish live shows.